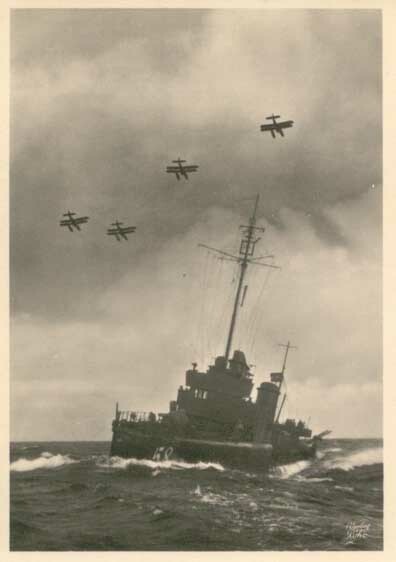 This is a wartime issue postcard picturing four German bi-planes with pontoons (they appear to be Heinkel He 60's) flying over a ship below. The caption on the reverse reads, "Auf Wacht an der Nordsee" or on watch in the North Sea. The card is unused and in excellent condition.